Encyclia tampensis species is native to Florida growth mainly from Tampa Bay Area south. Photos are of a plant similar to what you will receive. Plants bloom same time each year in May / June having a nice light fragrance from star shape flowers on branching spike. It is also referred to as the Florida Butterfly orchid due to flowers in a breeze appear to flutter like little butterflies. It easily forms a large colony often developing several spikes blooming. Photos are of plant similar to what you will receive, having multiple psuedobulbs. 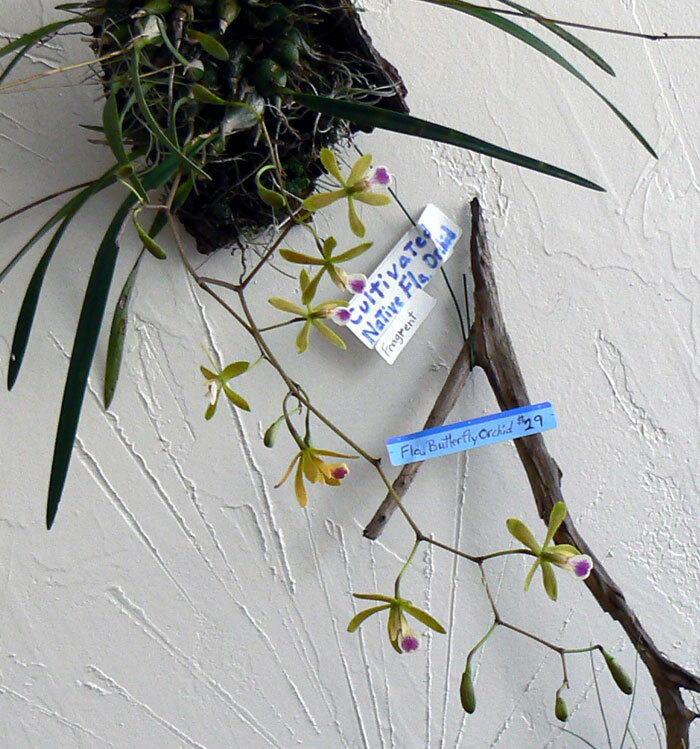 See my listings for other encyclia tampensis. This listing is for plant in 4" pot. I do have mounted plants also. Purchase HEAT Pack from Mad Happenings Store to be included when temp is in the 30s or 20s. Even with heat pack package of plants can not be left outside after delivery. Plants shipped during cold weather without heat pack that suffer damage or die will not be replaced. Depending on State Regulations plants may need to be sent bare root or are not certified to send to your area.